Big E - Eric Patterson - Leader of Big Heart. Song writer, lead and rhythm guitar, vocals. From the Midwest now playing Reno-Tahoe area. Big E plays high energy rock and Roll. His favorite Gear: Gibson guitars, Marshall Amps, Dunlop .46 mm picks and D'addario stings. His first band was a Black Sabbath tribute band playing Chicago and Detroit area. His band Renegade rocked the Sierra Nevada's for over 30 years. Favorite covers he sings as leads include AC/DC, Bob Seger, Tom Petty and Eric Clapton. 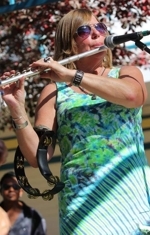 Lisa DeHart - flutist, percussions and vocalist- Lisa shows that flutes can Rock too. Her heart is with classic rock. She is skilled as a percussionist and keeping the beat while belting it out. She has performed with San Francisco blues band Thee Orbiters and Woodstock era bands before creating Big Heart with the Big E. She can be heard on the radio as utility player with other local artists doing back up singing and with her flute. Lisa favors singing covers of Jefferson Airplane's Grace Slick, Heart, Fleetwood Mac and Led Zeppelin. 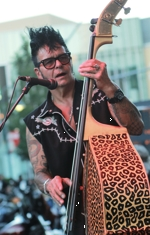 Mr. A - Anthony Wood - His mastery on the bass from a one string to 5, from a flying V to his leopard stand-up bass, has taken him from the east coast to the west. Humbly he has played with Skip Spence of Jefferson Airplane, Wayne Kramer of the MC-5 and many other talented musicians. He loves both Rockabilly and Classic Rock. He has played festivals with One Hand Clapping, Tribal Band of Moons, Thee Orbiters and in Famous New York Dive Bars with Viva La Rue Band. Rick Williams - Drums. 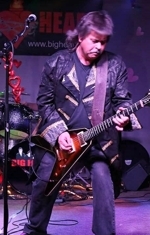 Rick has the natural talent to let the drums lead the way for the compelling songs of Big Heart and the ability to keep the dynamics of the music intriguing and rhythmic at the same time. He enjoys '60's and '70's hard classic rock and southern rock. 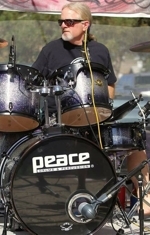 He plays Peace drums and Sabian cymbals with Vic Firth 5B/5BN sticks. Rick relocated from Northern California to Reno in 1986.